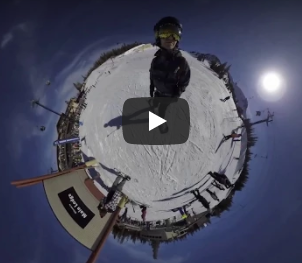 You won’t guess which 360 camera shot this super stable video! Which 360 camera shot this video? Check out this super stable snowboarding video! Unless you peeked at the title, you might not have guessed that it was shot by the Yi 360 VR (reviewed here). Lately, the buzz about image stabilization has been about Rylo, GoPro Fusion, and even Insta360 ONE. But last year, Yi added image stabilization to the Yi 360 VR via a firmware and app update, and its image stabilization can actually be quite good, as you can see from this video. Thanks to InfinitelyFinite for sharing this video to the Yi 360 VR Facebook group. I plan to do further tests! Stay tuned. If you will made some test please upload hi res unstitched samples from this camera. Thanks in advance. My Yi 360 came just yesterday! I’ll make couple of outdoor shots and upload unstitched 5.7K samples and share in comments. I also plan to make lowlight test video. Hi, do you upload some unstitched samples somewhere? I’ve made some indoor and outdoor tests. I used 400-800 ISO. Now the main question is where to upload footage? Google Drive, Dropbox. Maybe we should create some closed 360rumors users footage vault on Google Drive, what do you think Mic? I think that both cloud services are good and reliable.